Keynote Interview: How has Azul increased their market share while continuing to innovate? How has customer centric digitalization and fast adapting culture kept Azul on top of the industry year in and year out? What are the operational benefits of the brand new A320neos and E Fleet? What new revenue opportunities are opened with the fleet and how is Azul enhancing connectivity and capacity moving forward? Where is Flair positioning itself as a premium Ultra Low Cost Carrier against established legacy players? How do you design your network to take advantage of the smaller fleet while still serving customers where they need it most? What is being done to educate Canadian passengers who are still new to the a la carte nature of ULCC? Keynote Panel: How will the airline and airport industry take digital, marketing, experience, and retailing by storm? Innovating Interlining: How Virtual Interlining technology facilitates the creation of thousands of new route combinations and opportunities for airlines, OTAs, airports, and the travelers? Panel Artificial Intelligence: How can machine learning and AI be applied to revenue management? How is SWOOP differentiating itself in a region new to ULCC? 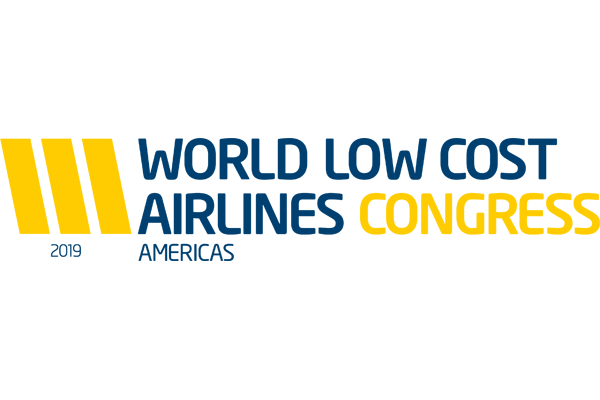 How is ULCC changing the airport landscape to ensure competitive fares for customers? What network opportunities are there to expand? Digital departments in airlines worldwide are chasing trends in inspiration and personalization in an effort to grow direct channel revenue and customer acquisition. However, do these strategies really work? Do customers really look for travel inspiration on an airline's website? And if so, how much closer to purchase does that really make them? How can personalization strategies be effective if a small minority of airline website users are recognizable as return visitors? And, given the implementation of EU GDPR is personalization too much of a liability? How are we navigating competition in Mexican Aviation and enhancing the customer conversation? How do we enhance personalization and put the best product in front of our customer? How are airlines navigating “overcapacity” to stay competitive in the most profitable markets? What are we learning from Virtual Assistantsand where is the future of AI and chatbot in the customer conversation to keep customers more engaged in their larger journey? How do you create a culture of diversity and progress from the ground up? Are you creating mentoring programs and setting employees up to succeed? What standards are in place at your company to promote women and other typically overlooked populations? Keynote Panel: Automated Journey: From early trials to a faster and safer customer experience- How are airlines, airports, and suppliers combining efforts to streamline the customer journey? How do you implement biometric technology while prioritizing safety and security? Where are airlines and airports across the country seeing the most improvements so far? From first booking to bag drop - Where do we see the opportunities for biometric automation in the larger journey? How can you stretch the capabilities of the leisure model to serve a wider group of passengers and stay competitive within LCCs? What network opportunities can Rouge provide from its strength of association with the Air Canada Group? How has the Canadian leisure landscape evolved and what is being done to enhance ancillaries while continuing to offer a higher customer experience? The Cost of Latin American Distribution: When will we see movement to more direct distribution?